Bulk SMS Software for Android Mobile Phone is fully capable to compose and send bulk text messages from PC to any individual or list of contact numbers using Android technology based cell phones. Using this advanced application, you can send notification SMS, reminders, interview messages, and personalized messages to your friends, relatives, customers, clients etc in just few minutes. 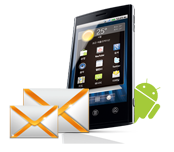 Android Bulk SMS program provides facility to skip duplicate number entries during the messages sending process. Mobile Text Messaging software is integrated with delay delivery option to control the load of SMS broadcasting. Software sends bulk text messages to different mobile contacts using Android technology based cell phones. Provides facility to load contact from file saved in excel or txt file format. 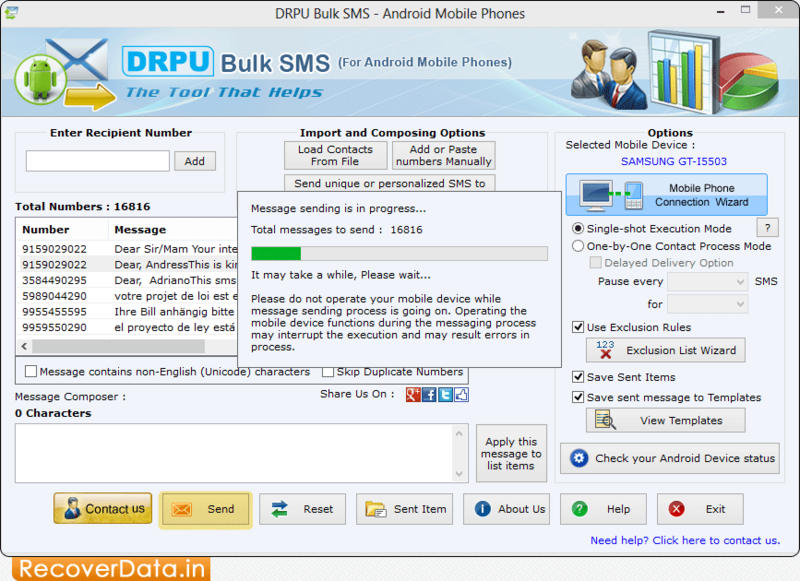 Android Bulk SMS software provides an option to skip duplicate number entries. SMS Gateway Program enables users to send and compose messages in Unicode characters. SMS Broadcasting application provides option to save sent messages to template.